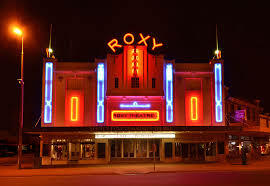 Art Deco Style became popular between the first and second world wars, it became known as Art Deco around the 1960’s. 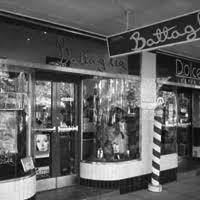 Buildings in Griffith and Leeton were constructed or renovated during the two wars which has left the towns with a wealth of Art Déco features. 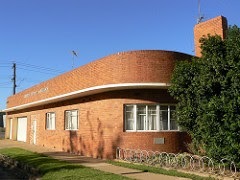 Art Deco’s distinctive features of mosaic tiling, glazed windows and chevron brickwork can be seen in some of local buildings such as: The Griffith Ambulance Station, 99 Spices and Battaglia’s Hair Dressers (Griffith) and the Hydro Hotel and Roxy Theatre (Leeton) are all good examples of this style of architecture.